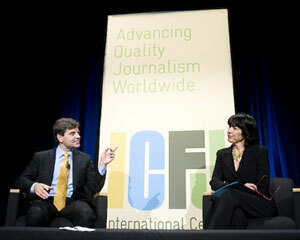 George Stephanopoulos interviews Christianne Amanpour at the ICFJ Awards Dinner. Through the Gardner/Mills Group, LLC. principals’ work with the media in various capacities from Vice President at a New York public relations agency to Director of External Affairs at the Smithsonian Institution’s National Museum of American History, we have a working, hands-on understanding of the ever-changing media landscape. This knowledge offers a unique perspective along with our communications, development and events experience to our media clients. 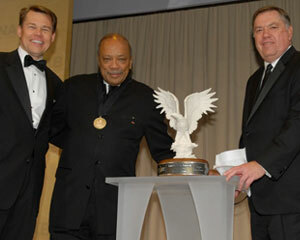 For five consecutive years, orchestrated pre-event and on-site logistics for the Awards Dinners, attended by 500 guests at the Ronald Reagan Building. Honorees have included Tom Brokaw, Joe Scarborough, Mika Brzezinski, Bob Woodruff, Bob Scheiffer, Christiane Amanpour, John Burns, David Ignatius and Twitter Co-Founder Biz Stone. For ICFJ's 25th Anniversary year, Seymour Hersh was honored along with New York Times reporter David Rhode, who gave his first public speech since escaping his seven-month captivity in Afghanistan and Pakistan. The event includes a reception, silent auction, and dinner with program. 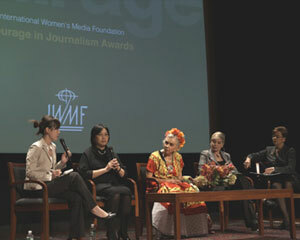 For three years, on behalf of the National Geographic Society, consulted with the IWMF to enhance and broaden the audience for their Courage in Journalism Awards, held in the Gilbert M. Grosvenor Auditorium at the National Geographic Society Headquarters. Provided fundraising consultation and support surrounding the Celebration of Service to America Awards honoring Quincy Jones and emceed by Deborah Norville at the National Building Museum.